I am the founder of Pure Andalusia, a company dedictated to providing exceptional experiences to the discerning traveller. Andalusia is an an amazing province steeped in history and tradition, it initially seduced me with its essence and vibrancy and it has been my adopted home for over 15 years. I have worked for many years in the high-end tourist sector and until recently I was the manager of the much acclaimed hotel Hacienda de San Rafael. My time in the hotel industry has helped me develop a keen eye for detail and an intuitive knowledge of great customer service. 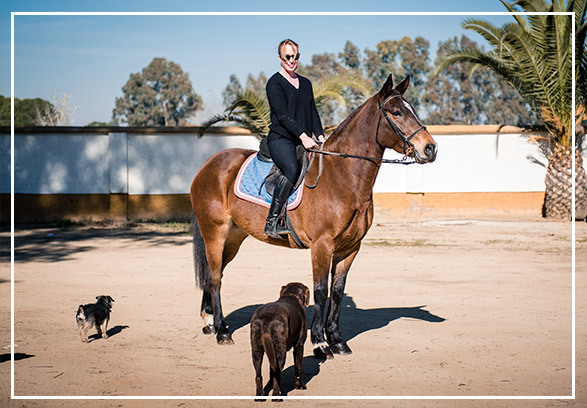 I have personally selected all the Pure Andalusia experiences and what I really want is for my clients to take home with them some really special memories of their time spent with me in Andalusia. Please have a browse through my tours. If you have a particular interest that is not listed, do let me know, as I have a wealth of local contacts and I can tailor an experience just for you. My name is Gerry Corbett, and I am the founder of Pure Andalusia, a company dedictated to providing exceptional experiences to the discerning traveller. Andalusia is an an amazing province steeped in history and tradition, it initially seduced me with its essence and vibrancy and it has been my adopted home for over 15 years.